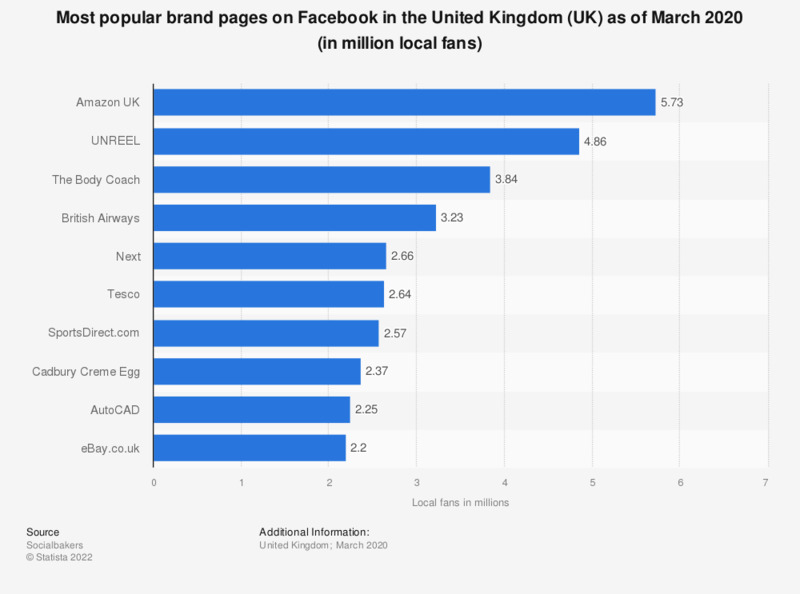 This statistic shows a ranking of United Kingdom (UK) brand pages by number of Facebook fans as of March 2019. The brand page Amazon UK was the most popular brand page on Facebook with approximately 5.8 million local fans. Statistics on "Social commerce in the United Kingdom (UK)"
Where are your company social profiles? What are the top three benefits of real-time social engagement? Which of the following have you done using social media?